DAVID LE/Staff photo. 3/7/15. 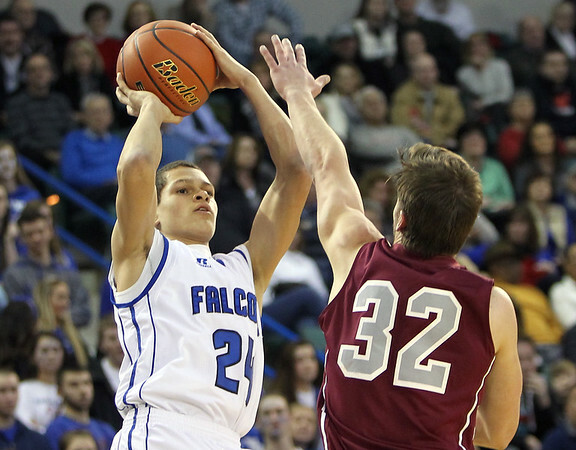 Danvers sophomore guard Devonn Allen (24) takes a jumper over Arlington senior Francis Roche (32) during the D2 North Championship on Saturday afternoon at the Tsongas Center in Lowell. The Falcons defeated Arlington 50-47 to capture the D2 North Championship.